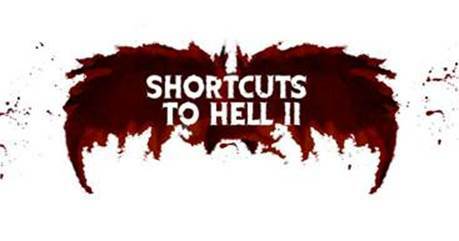 Shortcuts to Hell 2, the nationwide search for new filmmaking talent who are primed and ready to make their first horror feature film, is already up and running, with partners Horror Channel, FrightFest, Wildseed Studios and Movie Mogul who are now joined by VOD partner TheHorrorShow.TV, who will make the shortlisted films available to stream and download via its dedicated VOD hub for horror fans. The jury panel, which includes Horror Channel’s Emily Booth, FrightFest’s Paul McEvoy, Rosie Fletcher acting editor Total Film Magazine, Jesse Cleverly of Wildseed Studios, Movie Mogul’s John Shackleton and film director Simon Rumley, will be looking for a highly driven individual with a burning desire to make their first feature film. All entries will need to submit a 3-minute short film version of their full-length horror movie idea. Their submission must clearly demonstrate the core idea, premise, story and characters in narrative form. A shortlist of twenty-six finalists will then be invited to an interview where they will have the opportunity to pitch their feature film directly to the jury panel. Three filmmakers will then go forward to this year’s FrightFest event at the Vue West End in London, and have their 3-minute films screened before the discerning FrightFest audience. Their work will be broadcast on Horror Channel throughout August and September, where the overall winner will be chosen by public vote. TheHorrorShow.TV's major domo David Hughes said, "The Shortcuts to Hell competition is already renowned as an exceptional crucible for genre filmmaking talent in the UK, and with this year's addition of the feature film incentive, it's bound to be the biggest incarnation of the competition yet. We're extremely excited that the twenty-six finalists – including, of course, the overall winner – will be able to show off their films through the kind of digital streaming and download release for which TheHorrorShow.TV is known." Entries for the competition are already coming in, with judging due to take place through July and August in preparation for the final stage in the run-up to FrightFest, which takes place 21-25 August 2015.